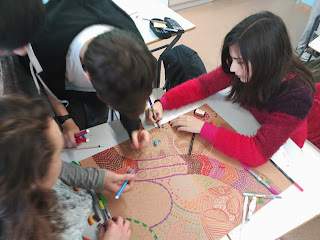 Our ESO 4 students are creating aboriginal art paintings in groups... for the exhibition in the SCHOOL!!! 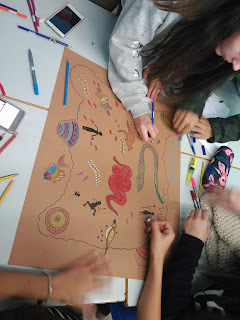 We are doing a project on Australia about the stolen generations. We are learning about australian-aboriginal history, culture, art... in different ways. 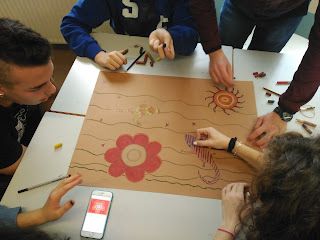 Our ESO4 students are enjoying it a lot. We are going to tell you a little bit more about it!!! We are part of the Sharing to learn project with the American School and every year we have language assistants. 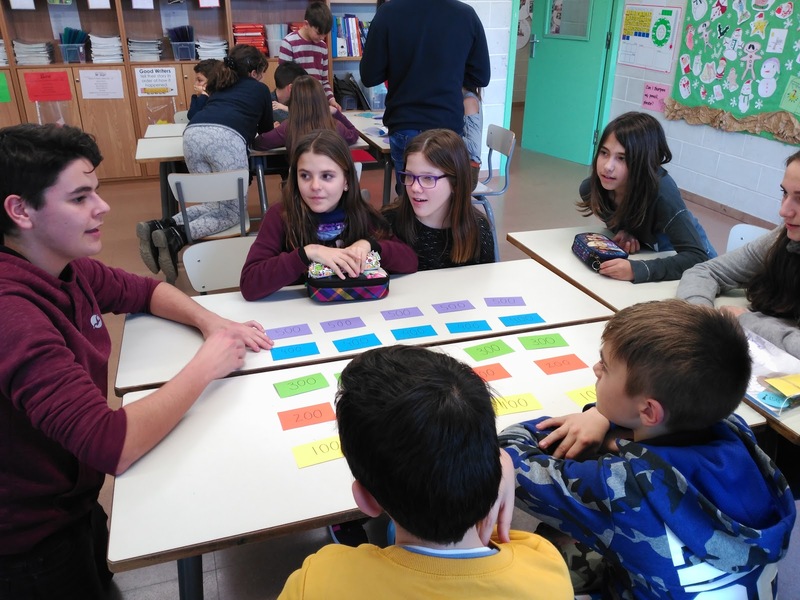 This year, our students in P5 and 4th grade are practising their English with a native speaker student from the American School! Our Project time subject in Secondary school gives the chance to meet up with the primary students to do some collaborative learning. Our older students create games, role plays, puppets, short stories in English for the little ones to perform it for them! 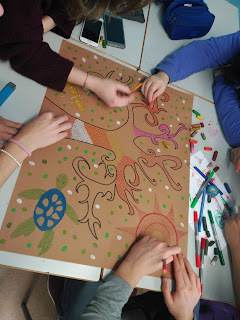 In this blog you can see some pictures about these encouraging activities! E-twinning from 3rd to 6th grade. Maria Valls and her students have contact with a school in Turkey to run this project. 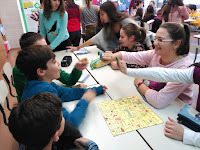 The students share topics, experiences and they learn from each other! 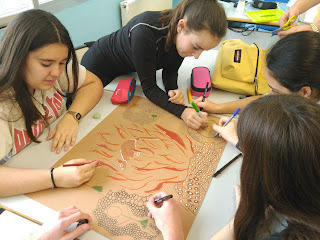 Scientific culture in ESO4 by Laura Garcia. Students learn about scientific methods, environmental issues and healthcare and illnesses. 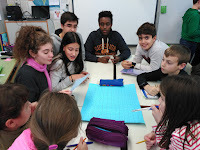 ESO 3 students take an english workshop called 'To be an entrepeneur' run by an external teacher. Some international topics in ESO 4 in the Social Science subject are studied in English, by Annabel Mancera. 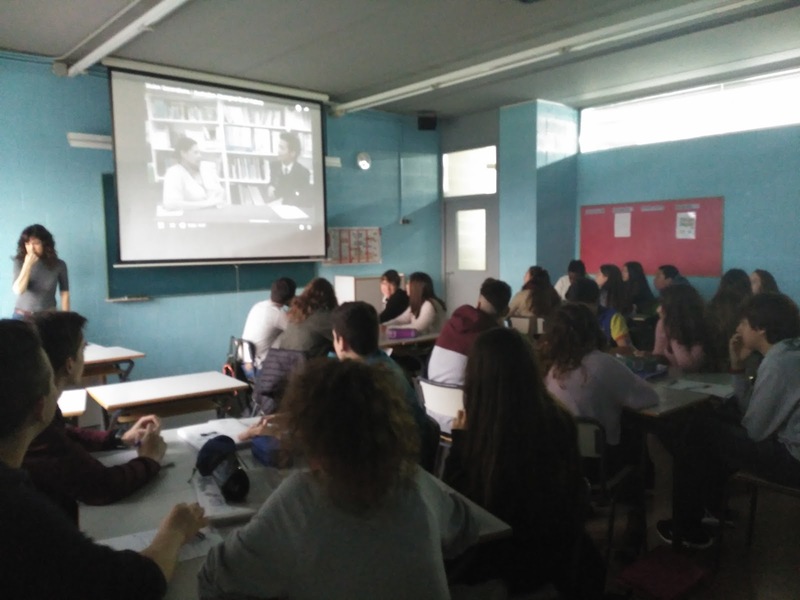 Our secondary students have a cinema club and all grades watch an original version film at the end of every term to be followed by discussion activities in the classroom. French in secondary school as an optional subject. The teacher is Anabel Lopez and at the end of the school year our ESO3 students participate in an exchange programme with a French school located in Torfou. 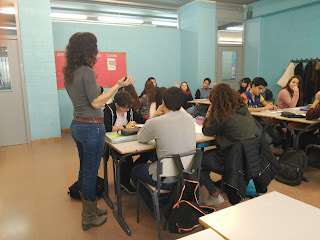 The french students will spend a week here in May enjoying our culture with our students, the school and our families. 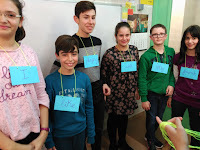 Our students are visiting them in June for a week too. They've been in touch throughout the school year so they kind of know each other and they can´t wait to meet up!!! LET'S MAKE A MULTILINGUAL SCHOOL ALTOGETHER!!! 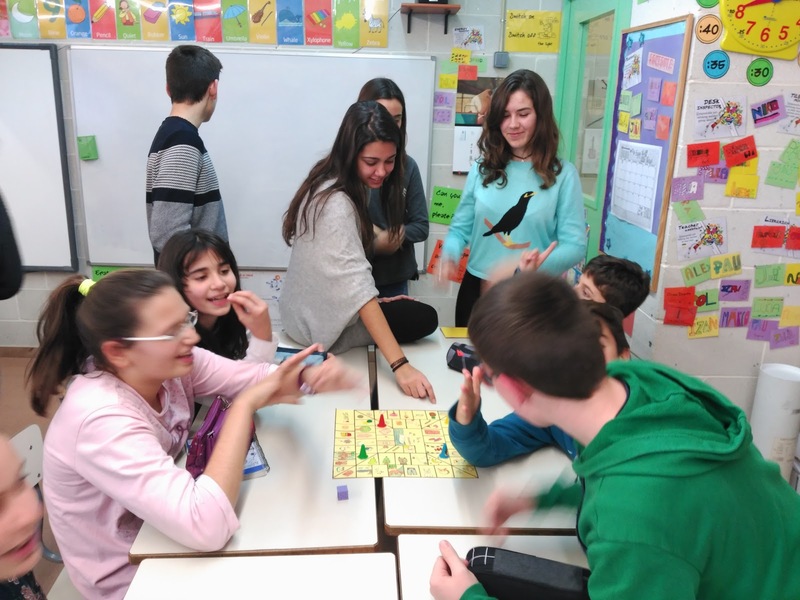 Yesterday, our ESO 4 students played a few of the games they have created for the 5th grade students. Our students in BAT are preparing two theatre plays for the pre-school children and 1st and 2nd graders. The plays will be performed in the school! We have been doing this project for a few years and it has been a great experience so far!!! 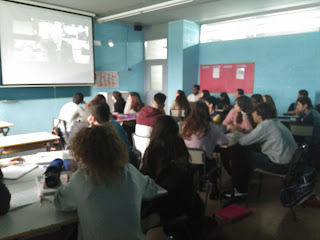 English time. 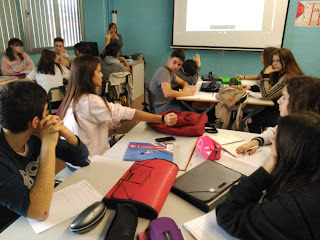 Amb la tecnologia de Blogger.